Throughout high school, Alexia was the only girl in Technology Club, IT class and advanced physics. She founded GirlBoss New Zealand to encourage girls to embrace male-dominated STEM fields, strive for executive positions and develop their technology and entrepreneurial skills. GirlBoss holds regular technology classes and organizes large events to create a strong community of young women. This year alone, GirlBoss hosted three conferences to educate and inspire more than 500 attendees by leaders in STEM. Alexia presents to politicians, teachers, ministries, executives and students to engage them in her mission, recently solidifying a partnership with Global Women Network. She also writes GirlBoss’s online magazine, which reaches more than 3,500 institutions each month, including every high school in New Zealand. With the grant awarded to her from the AIMES Bellingham Wallace Emergent Talent Award, she will spend the next year working fulltime on GirlBoss. Her goals for the year include having GirlBoss ambassadors in every New Zealand school and expanding globally. As the recipient of the 2016 Westpac Women of Influence Young Leader Award, Alexia is recognized as the most influential woman under 25 in New Zealand. In one 10 hour flight, Alexia travelled at -70C and zero per cent humidity while measuring stardust and taking in the breath-taking displays of the atmosphere, such as the the Aurora Australis. She was extremely grateful to be selected for such an out of this world opportunity. 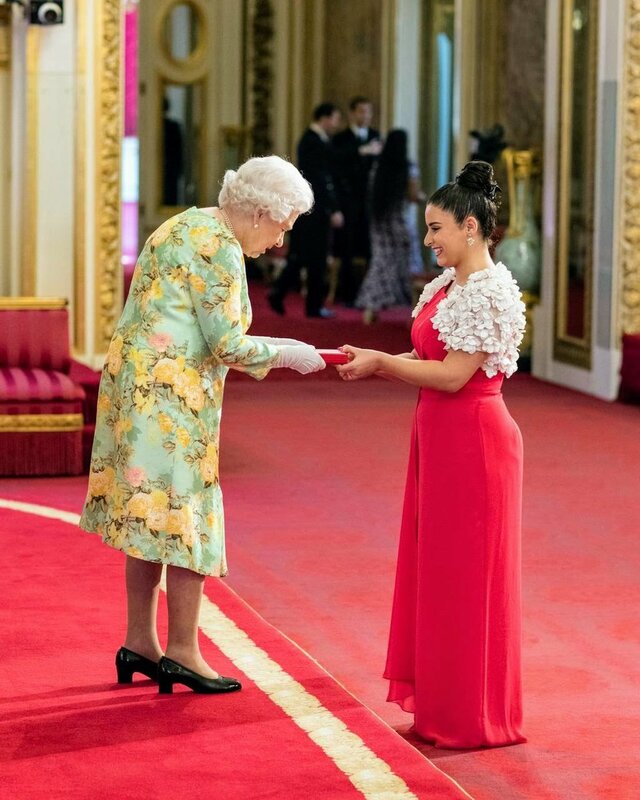 Alexia received a Queen's Young Leader medal for Services to the Commonwealth from Her Majesty Queen Elizabeth II. While the Queen is generally known for her stoic manner, Alexia managed to get Her Majesty to not just crack a smile but to share a right royal chuckle with her. Interested in connecting or working with Alexia?